Last we heard from Hamilton, ON-based indie rock outfit the Bandicoots, they were paying homage to the golden age of television in their video for "No Turn on Red." Now, the boys are back with a brand new clip for "Mind Your Manors," and Exclaim! has got your first look at it. The melodic indie pop jam comes from the band's upcoming debut EP This Is Why We Cant Have Nice Things, which was produced by Michael Keire (the Dirty Nil, Wild Life) and mastered by Brian Lucey (the Black Keys, Arctic Monkeys). It officially arrives on April 14. As for the clip itself, the band tackled producing, directing and editing duties all on their own. The results are a real-life Where's Waldo? situation that sees the band chasing the striped sweater-wearing hooligan across town — from the mall to grocery store to the library. When we're not personally serenading you, we're on the prowl for the elusive man in the striped shirt. Through the barrage of a spaghetti western showdown (that would make Clint Eastwood proud), and heated chase scenes (only slightly less exciting than an episode of Dog the Bounty Hunter), we catch your guy. 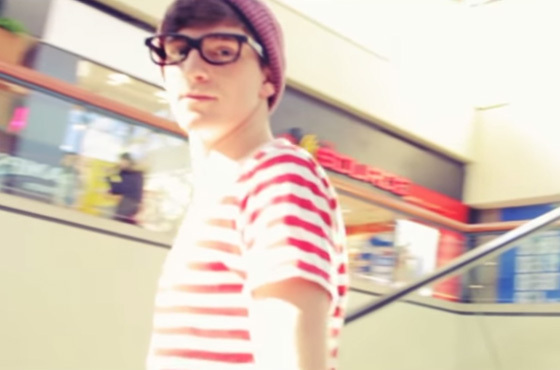 Although, something tells us you don't really find Waldo — he finds you. Watch the action unfold in the video for "Mind Your Manors" below.